Guide for Escape City Walkthrough Cheats to play as a rookie cop and stop the ruthless criminal gang on escape city ! Find all joker card on each room, if you collect every joker card you will have access to the secret room. You must to collect every possible evidence that you find, examine them and send every gang member to jail. But don’t expect this case to be an easy one. 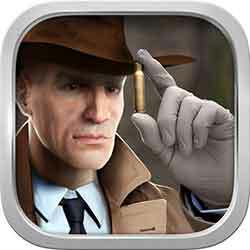 So be ready to plunge into the world of crime, solve the most difficult puzzles and become a real police detective. Welcome, rookie, it’s your first day on this job. We don’t have much time, so pay attention. There is a dangerous gang in the city and it’s our job to arrest them. First, let’s examine the office of the corrupted cop. Do you see the left table ? i bet there is something in the drawer, check it. Get the burr inside then look at the chest on right. open top middle box to get a drill and combine it with a burr then open the safe with it. Take a USB flash drive and connect it to the left PC on table. take the security card and open the door. This entry was posted in escape city on April 11, 2015 by 100doorssolution.